Situated in Dhaka, The Westin Hotel Dhaka offers luxury 5-star accommodation, as well as a sauna, a Jacuzzi and an outdoor pool. It also provides 24-hour room service, a kids pool and an executive floor. The rooms are air conditioned and include a refrigerator, an in-room safe and a mini bar. Each provide tea and coffee making facilities, a flat-screen TV and movies-on-demand. On-site dining options include a restaurant, which is an ideal place to have a meal. In the evening, guests are welcome to relax in the lounge bar. A wide selection of dining options are also available nearby. Shahjalal International Airport is less than a 45-minute drive from The Westin Hotel Dhaka. The friendly staff at the tour desk are available to book and organise activities in Dhaka. Main Gulshan Avenue, Plot-01, Road 45, Gulshan-2, Dhaka-1212, Bangladesh. Be inspired by the vibrancy surrounding the exquisite 5 star accommodation in Dhaka. Their luxurious retreat offers a calming respite from the hustle and bustle of downtown Dhaka, where contemporary comforts will refresh your senses. Rejuvenate with their state-of-the-art facilities and an outdoor pool set amidst lush greenery. Take in the local culture where fascinating sights and sounds abound within close proximity to the Pan Pacific Sonargaon Dhaka hotel. Steeped in rich history yet poised for success, the hotel is close to historic sites and exciting shopping. 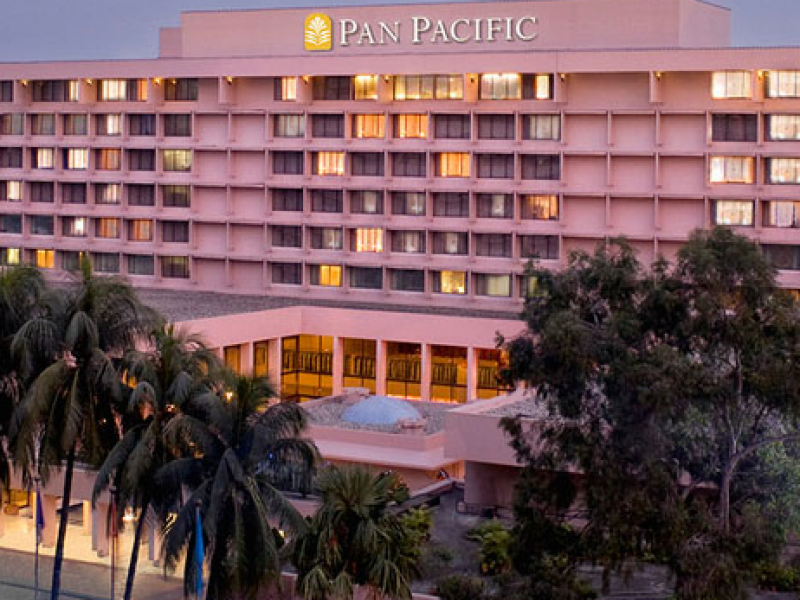 Experience a modern oasis in a bustling city at Pan Pacific Sonargaon Dhaka. 107 Kazi Nazrul Islam Avenue, Dhaka-1215, Bangladesh. 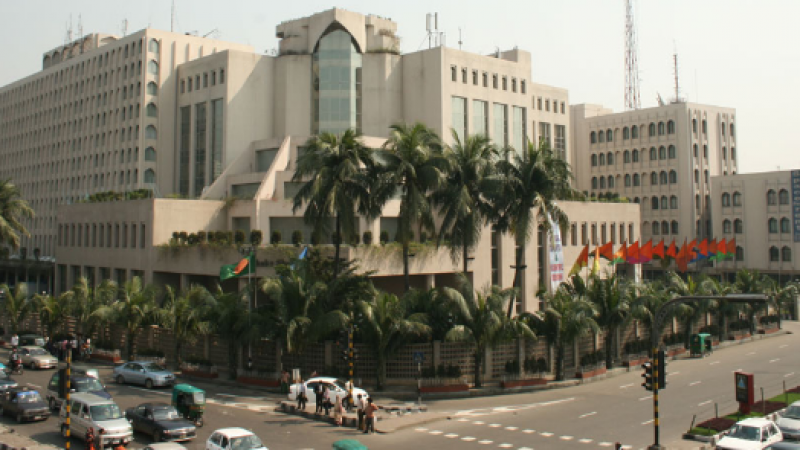 Bangladesh Services Limited, owner of Ruposhi Bangla Hotel and the hotel management wish to inform that the hotel is closed for an extensive renovation to re-emerge as InterContinental Dhaka early 2016. 1, Minto Rd, Dhaka-1000, Bangladesh. 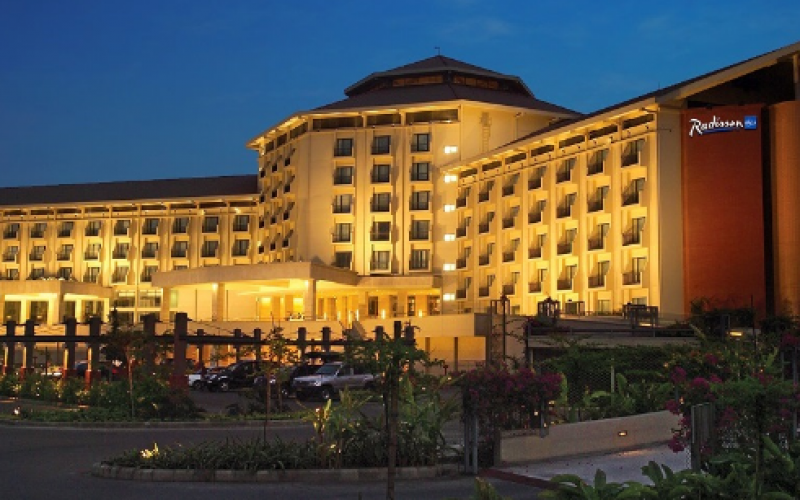 Radisson Blu Dhaka Water Garden is a stunning hotel set on seven acres of lush gardens with water features. Located just a twenty-minute drive from the Hazrat Shahjalal International Airport (DAC) and close to the diplomatic enclave and main commercial hub of the city, the Radisson Blu offers all the conveniences of a business hotel with the ambiance of a resort. Services include a sparkling outdoor pool, a relaxing spa, an adjacent golf course and airport transfers. Positioned just five kilometers from Hazrat Shahjalal International Airport, our hotel is adjacent to the diplomatic enclave and the main commercial hub of the city.Savor international cuisine at Water Garden Brasserie, sample Pan-Asian and Bangladeshi specialties at Spice & Rice, enjoy fine dining at Sublime and unwind with live entertainment at Blaze Entertainment Lounge & Bar. When you have some free time, take a refreshing dip in the outdoor pool, play a round of golf at the adjacent Army Golf Club or enjoy a soothing massage at the hotel spa. Airport Road, Dhaka Cantonment, Dhaka-1206, Bangladesh. 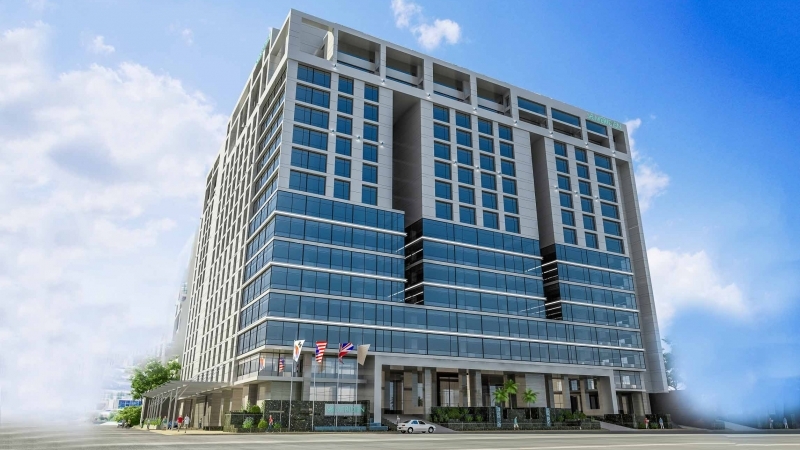 Le Méridien Dhaka is located along Airport Road, which connects Hazrat Shahjalal International Airport (DAC) and Dhaka’s current Central Business District (CBD). The hotel is conveniently located within 5 kilometres of all major business and cultural centres. Guests can easily access the flourishing township of Uttara and the RMG manufacturing belt of Ashulia, Savar, Tongi and Gazipur, as well as the must-see attractions of Gulshan, Banani, and Baridhara. An enjoyable day can be spent at Jamuna Future Park—home to the largest shopping mall in Bangladesh or on the green at Army Golf Club, which is walkable from the hotel, or Kurmitola Golf Club, just a 10-minute drive away. 79/A Commercial Area, Airport Road,Nikunja 2, Khilkhet, Dhaka-1229, Bangladesh. 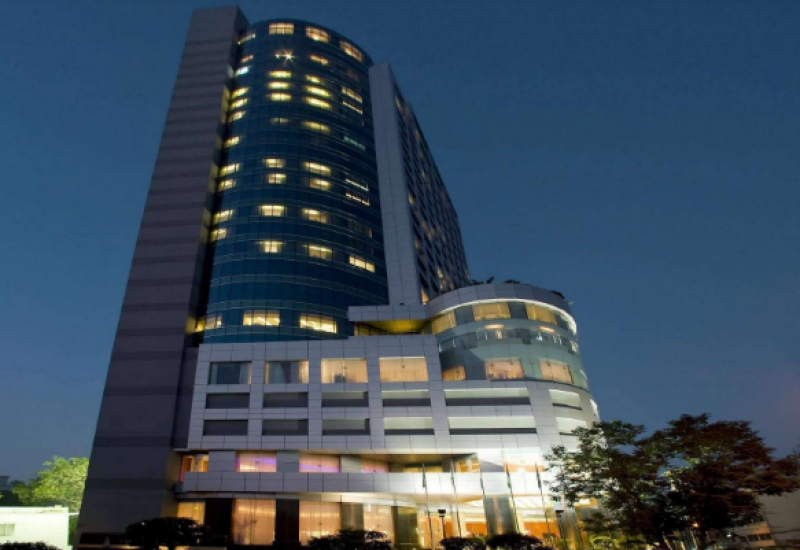 ASCOTT Dhaka is an exotic 4 star standard hotel ideally located in the diplomatic zone of Baridhara, Dhaka. Forty minutes drive from the international airport ideal for both business and relaxation as the tranquil view of Baridhara Lake delivers a refreshing feeling of separation from the rigors of everyday life. 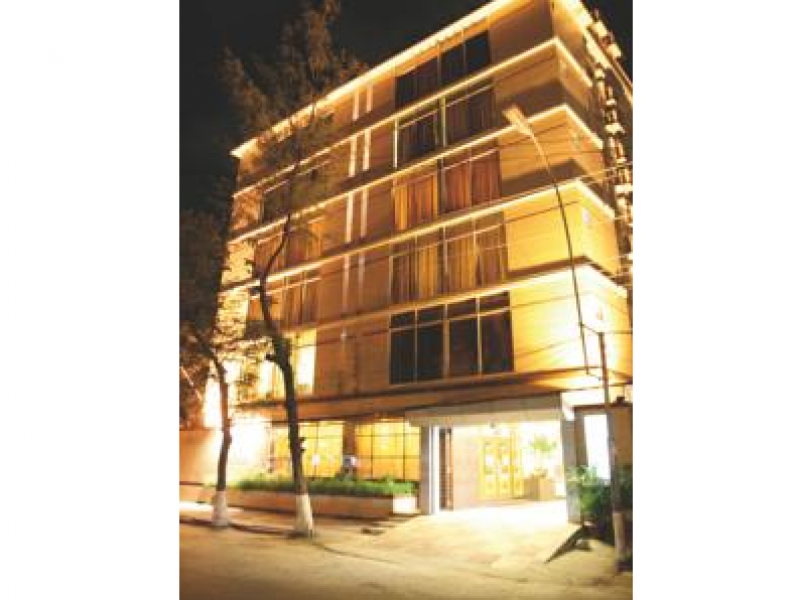 It has two compounds, Ascott Palace Dhaka and Ascott The Residence Dhaka. Baridhara Diplomatic Zone, House-14, Road-06, Block-K, Dhaka-1212, Bangladesh. Baridhara Diplomatic Zone, House-13, Road-08, Block-K, Dhaka-1212, Bangladesh. 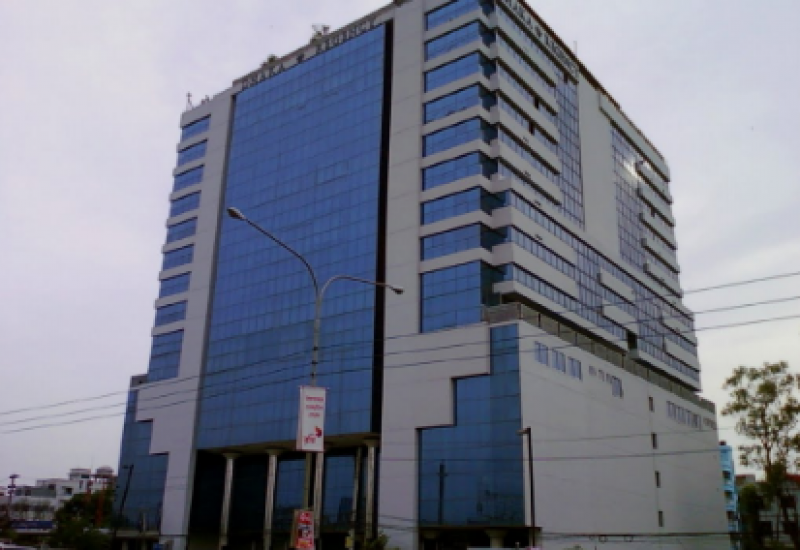 Dhaka Regency is a new-generation business class hotel located on Airport Road in the commercial area of Nikunja 2. It is a 10-minutes drive away from the only international gateway to Dhaka and is within easy access of the city’s diplomatic zones, major commercial areas, and a number of industrial belts. The hotel offers a host of other attractions such as 24-hours multi-cuisine dining, live performance bar lounge, authentic Thai spa center, health club, and a Mediterranean hookah lounge. Airport Road, Nikunja 2, Dhaka-1229, Bangladesh.